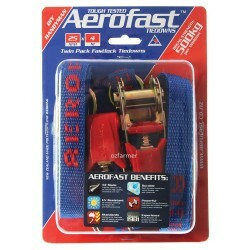 Heavy Duty 25mm x 5m Ratchet Tiedown Aerofast. Ratchet tie-downs. 5m long using 25mm-wide webbing with S-hooks. Ideal for heavier trailer and light truck loads. Available in a twin pack. Ratchet tie-downs. 4m long using 25mm-wide webbing with S-hooks.Ideal for tying loads on the bac.. 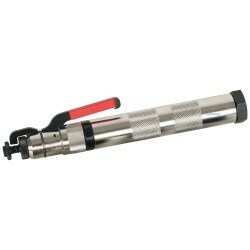 Single 37mm x 6m Light Commercial Ratchet Tiedown Aerofast 2,000kg break strengthSingle ratchet .. 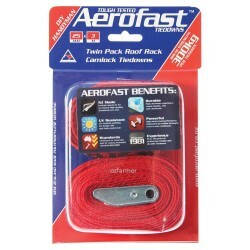 Single 50mm x 6m Heavy Duty Ratchet Tiedown Aerofast 2,500kg break strengthSingle ratchet tie-do.. Single 50mm x 6m Very Heavy Duty Ratchet Tiedown Aerofast 5,000kg break strengthSingle ratchet t.. Single ratchet tie-down. 9m long using 50mm-wide webbing with very heavy duty ratchet.Heavy duty..
2 x 3m long roofrack straps using 25mm-wide webbing with camlock stopper. Easy to pull up tight thr.. 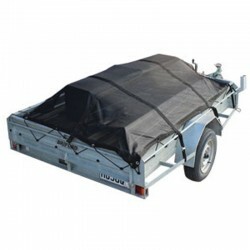 Cargo Net Aerofast Heavy Duty LargeThis is the ultimate trailer cover. Very heavy duty anti-snag.. 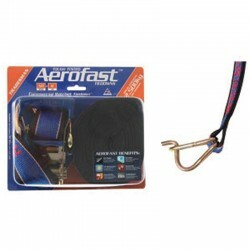 Single 6m-long webbing Tradesman ratchet tiedown with keeper-type hooks (preferable when tieing load..
Long Ends are replacement long straps, to refurbish Truck tie-downs where the long end has become wo..
A captive bolt device is used for safe and humane destruction of animals - from small pigs and calve..